​Ahead of Game 4 of the American League Championship Series against the Boston Red Sox, the Houston Astros have released their lineup that will face Rick Porcello. 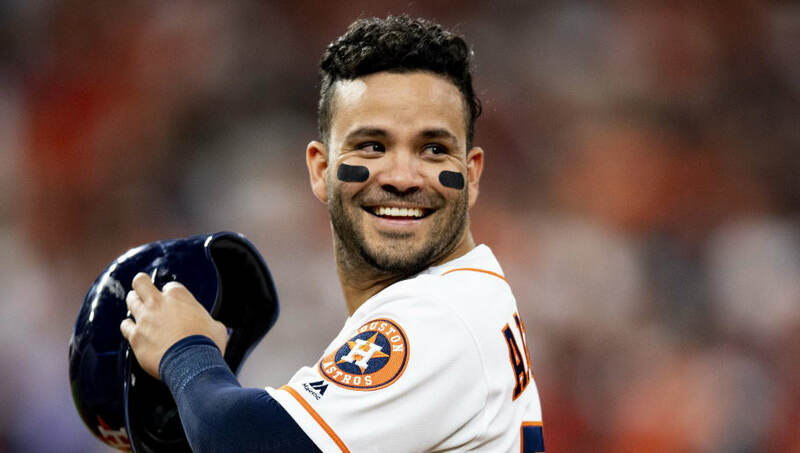 After losing Game 3 by a score of 8-2 at home in embarrassing fashion, the Astros made a few changes to their lineup in hopes that their offense wakes up. Some changes to note: ​Alex Bregman will lead off after batting third last game, George Springer slides to the No. 2 hole and Jose Altuve slides to No. 3, Ylu Gurriel and Marwin Gonzalez swapped spots in the batting order, and Martin Maldonaldo will take over the catching duties from Brian McCann. Bregman slides into the leadoff spot after having an amazing season where he batted .286 with 31 home runs and 103 RBI. He's tearing it up this postseason too. After only mustering two runs on seven hits with Nathan Eovaldi pitching six strong innings, the Astros are in a must-win situation as it would be extremely hard for them to come back to win the series if they go down 3-1 after losing two straight home games. The ​Red Sox rarely lose three games in a row, so if the Astros want any chance of a World Series title, they need to win tonight.